WASHINGTON, DC, April 7, 2011 (ENS) – The U.S. House of Representatives today voted 255-172 in favor of rescinding the U.S. Environmental Protection Agency’s authority under the Clean Air Act to regulate greenhouse gas emissions. The bill, H.R. 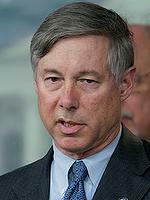 910, the Energy Tax Prevention Act of 2011, was coauthored by House Energy and Commerce Committee Chair Congressman Fred Upton, a Michigan Republican. The measure now goes to to the U.S. Senate for a vote, where it needs a two-thirds majority of 60 votes to pass. The Senate voted down identical legislation on Wednesday sponsored by Republicans James Inhofe of Oklahoma and Senate Minority Leader Mitch McConnell of Kentucky. “This is the same debate we had last year when both Congress and the American people soundly rejected the cap-and-trade regulatory scheme,” he said. In June 2009, the House passed the American Clean Energy and Security Act which mandated a cap and trade market for emissions of the greenhouse gas carbon dioxide, but the legislation died in the Senate. “Republicans are voting to increase OPEC’s wealth, and against protecting Americans’ public health,” said Congressman Ed Markey of Massachusetts, the top Democrat on the Natural Resources Committee and a senior member of the Energy and Commerce Committee. New Jersey Congressman Steve Rothman, a Democrat, voted against the Upton bill. 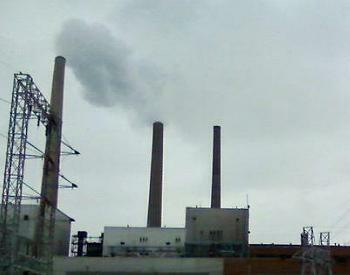 “It is for these reasons and many others that health advocacy and environmental groups – from the American Lung Association and the Union of Concerned Scientists to Environment New Jersey and the Asthma and Allergy Foundation of America – oppose this harmful legislation,” Rothman wrote on his website.